Netflix's Chilling Adventures of Sabrina was so terrifying that it even managed to irk the Satanic Temple. Now the show is coming back to freak us out even more with the second part of its first season. As previously reported, Chilling Adventures of Sabrina Part 2 will hit Netflix on April 5. Today, we get a full trailer for its freaky second season. Once again, Kiernan Shipka appears as Sabrina, and it looks as if she's definitely using her powers for evil as she cavorts with a wide variety of evil characters. 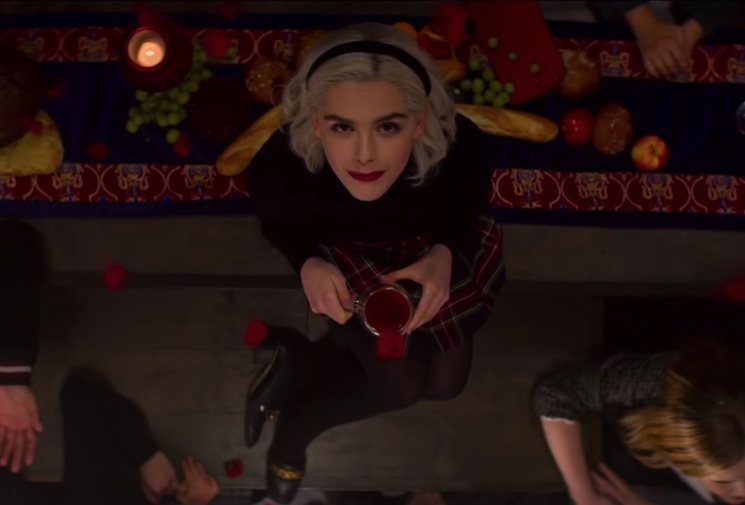 Watch the trailer for Chilling Adventures of Sabrina Part 2 below.